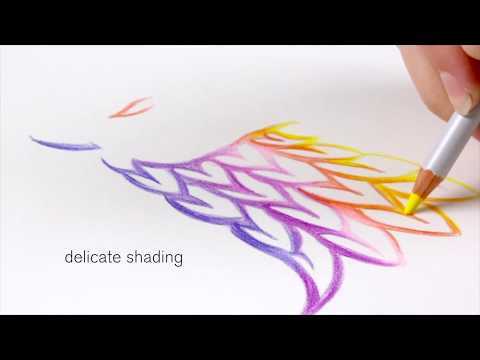 Unleash the artist in you with this wonderful set of colored pencils from Winsor & Newton. With soft, thick cores, these Michaels exclusive premium pencils promise an ultra-smooth, even color laydown. Use them for delicate blends, bold line works, silky shadowing, layer art and more. Winsor & Newton™ Studio Collection™ Color Pencil Tin is rated 5.0 out of 5 by 2. Rated 5 out of 5 by Becky19 from These have renewed my faith in colored pencils!!! So, Over the last several years I have been on the hunt for really good colored pencils. In other words, colored pencils that are strong and the lead inside the pencils are one piece, not broken up into bits. These are perfect!! I can sharpen them as much as I want and I don't need to worry that the lead is busted inside or that I'll end up trying to sharpen them until there is literally nothing left but a nub. Rated 5 out of 5 by taniathepirate from Love these pencils! I loved these pencils. Very good quality, the thick lead helps keep them from breaking easily.The lead is also very soft, which I love to use with mix media projects, usually with watercolor, graphite and a micron fine liner pen. The colors are vibrant and the pencils blend well together. I got the 12 count, never having used or had a huge interest in colored pencils before. Now I am hooked with the soft look that I can create with these pencils.